1. Jonas Valanciunas and the Raptors dominate on the glass. 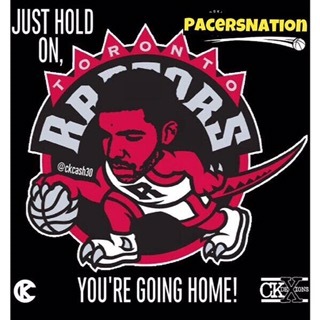 The Raptors beat the Pacers on the glass to the tune of 52-38. Valanciunas managed a Raptors playoff record 19 rebounds in only 21 minutes of action as he struggled with foul trouble and eventually fouled out of the game. This rebounding difference showed up in the regular season as well. Even in a game without their Lithuanian big man, Bismack Biyombo managed a career night in Indianapolis with 16 points and a franchise-record 25 rebounds. Ian Mahinmi, Myles Turner, and the rest of the Pacers bigs have struggled to keep the opposing big man off of the glass in this matchup. Mahinmi struggled with foul trouble, but wasn’t incredibly effective while in the game either, managing only 1 point and 3 rebounds in 16 minutes with a -7 plus/minus. Turner played well and battled as well as he could, but clearly lacked the strength to keep Valunciunas from getting wherever he wanted to go. The Pacers will need help from everyone on the court to prevent the second-chance opportunities by crashing the glass heavily. This will be a key to watch out for in the rest of the series. 2. The Raptors lived at the charity stripe. While the Raptors were called for more fouls than the Pacers (27 to 25), the Raptors took 9 more free throw attempts (38 to 29). 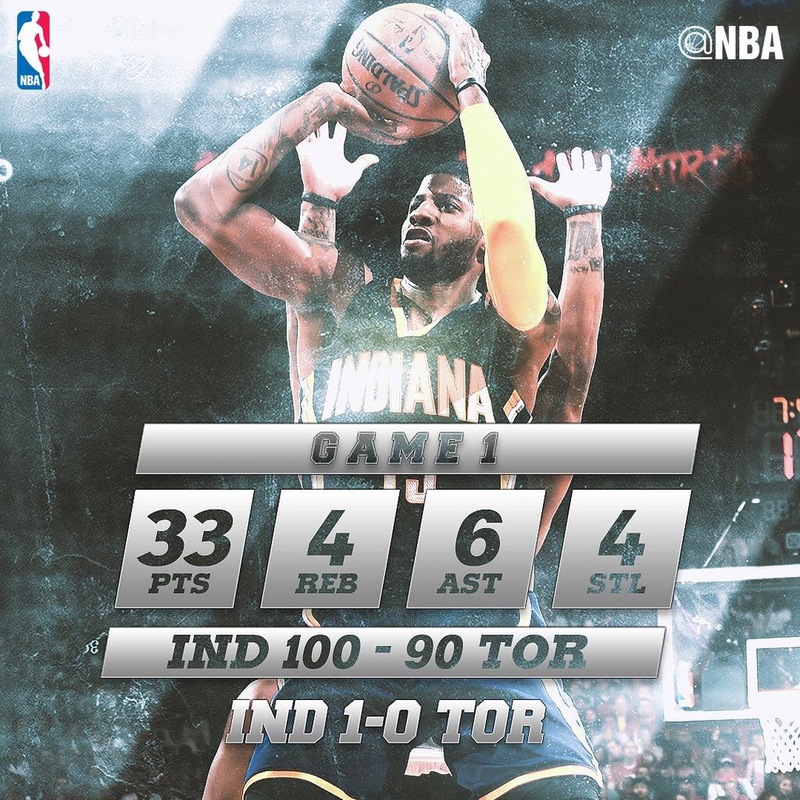 The Pacers lucked out with poor shooting from the stripe for the Raptors as they made only 26 and shot 68%. While it would seem unlikely to continue to get referees that blow the whistle as much as Scott Foster and Tony Brothers did on Saturday, the Pacers cannot let them go to the foul line nearly 40 times every game. Both Myles Turner and Ian Mahinmi struggled with foul trouble at different points throughout the game, which may have been partially to blame for the rebounding struggles. For now, it seems that Frank Vogel’s attempt to influence the referees on Derozan and Lowry’s “embellishing” of contact has only made it more likely for calls to be made. 3. Adjustments are available for Dwane Casey. The most obvious of adjustments for Casey would be to move defensive ace DeMarre Carroll back into the starting lineup to deal with Paul George. He had success at times against George in the playoffs two years ago as a member of the Atlanta Hawks. While the Raptors’ Norman Powell earned the starting job the last few weeks of the season, the Pacers can hide Monta Ellis on him more easily than putting him on the much taller Carroll. While Carroll won’t be posting up Ellis, it would be a more difficult task for him to deal with. Carroll isn’t going to cause Paul George to worry too much (He ended up averaging 23.9 PPG in that Hawks series), but it’ll be a more difficult task for him on offense than either Derozan or Powell. 1. The Pacers have the best player in this series in Paul George. While the Raptors’ two stars struggled throughout (more on that below), the Pacers best player carried his team to victory in the second half. After a mediocre-to-poor first half offensively, Paul George watched film at halftime and realized he wasn’t “letting the game come to him.” The game certainly came to PG in the second half as he hit 9 of 9 shots outside of the paint, including four 3-pointers. George’s 17 points in the third quarter all came in the flow of the offense, especially this beautiful ball movement that started with penetration from George himself. 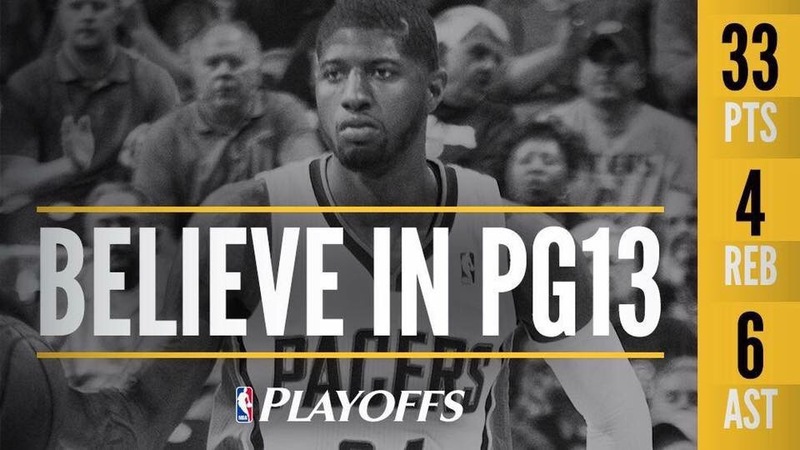 NBA playoff series are often swung by simply having the best player involved, and if Paul George continues this type of play, the Pacers will have a great shot at the upset. He also seems to be trying to submit himself more as the leader of the team, wired telling his teammates “I got us!” Monta Ellis even referred to him as “our leader” in post-game comments. 3. Myles Turner doesn’t shy away from the moment in his first playoff game. While Turner-like the rest of Indiana’s bigs-struggled dealing with the strength of Valanciunas, Turner’s effort and energy led to 10 points, 5 rebounds, and 5 blocks (adding a third of the Raptors roster to the always growing Myles High Club). Vogel was so impressed by his 20-year-old rookie that he said he played like a seasoned veteran. The rookie phenom ended the game with the second highest plus/minus rating for the game at +15 (Paul George had +16).